Aces are often the case when top flight teams face off, and there will be some big time pitching matchups worth tuning in for. Friday night’s tilt features two of the AL’s best: Gerrit Cole and David Price. Cole was a CY Young favorite earlier this season. In his first 10 starts, he went 5-1 with a 1.86 ERA and a .169 batting average against. However, he’s cooled recently. Since the calendar flipped to August, he’s 3-2 with a 4.11 ERA. Conversely, Price is just hitting his stride. The 2012 AL CY Young award winner has been on fire since the All-Star break. He’s shut down opposing bats to the tune of a 1.62 second-half ERA, with an exquisite 6.14 K/BB ratio over his last 7 starts. As if that wasn’t enough, Sunday features the two of the last three AL CY Young winners. Rick Porcello is looking to rebound from an especially tough stretch; he’s allowed a HR in 10 of his last 13 starts, and has a 5.21 ERA since June 27th. Dallas Keuchel has been Houston’s 4th best starter, though he’d be a #2 or #3 guy on most clubs. He’s been effective all season long, and will be coming off of a 6 inning, 0 earned-run outing against the Twins on Monday. 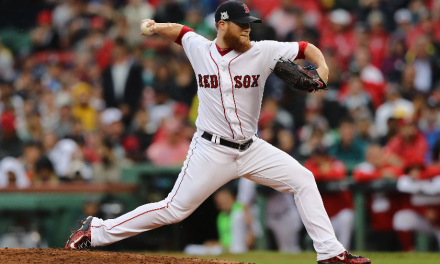 Even without Chris Sale and Justin Verlander toeing the rubber, both teams have plenty of starting pitching to keep things interesting all weekend. 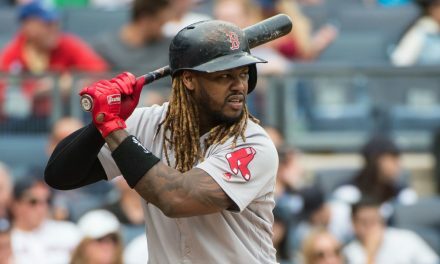 On May 25th, the Red Sox DFA’ed Hanley Ramirez. There were plenty of extenuating factors that went into that roster decision, including first-baseman Mitch Moreland‘s red hot start. It made sense at the time. Moreland was hitting .318/.393/.636 with 8 HR in 122 PA, along with his typically stellar defense. He’s since gone into a tailspin. In 75 games since May 26th, Moreland is only slashing .220/.294/.374 with 7 HR. He’s also 1 for his last 18 at bats. Moreland is a career .252/.318/.440 hitter, and the totality of his 2018 has reflected that larger sample size. However, considering how hard he faltered in the second half of 2017, Sox fans have reason to worry that they won’t get enough out of a key cog come playoff time. If Moreland is going to get hot again, this weekend would be a good time to start. Second base has been a struggle for the Sox this season. They rank 26th in the majors with a 83 wRC+ at that position. Dustin Pedroia‘s consistent offensive output and strong defense (*cough* Nunez *cough*) has been missed. The good news? A couple of former All-Stars have made their presence felt at that spot recently. Ian Kinsler and Brandon Phillips may be long in the tooth, but they’re contributing in a big way down the stretch. Kinsler got off to a slow start this season. But, he began to find a rhythm right before the Red Sox acquired him on July 30th. In 21 games for Boston, he’s hit .310/.355./408 with a 106 OPS+. His slick defense has been a major upgrade, too. 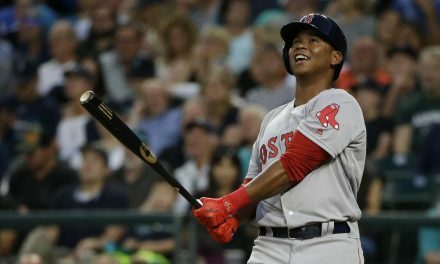 Kinsler was 4-11 with 5 RBI in the Red Sox sweep of the Braves earlier this week, including a couple of rare (for him) opposite-field gappers. There’s still about a month until the postseason roster shakes out. But these two former All-Stars have tons to offer the Sox in the here and now. We’ll see if they continue to make the most of their opportunities against the reigning world champs. This weekend is must watch TV for Red Sox fans. The results may not be predicative of what will happen in October, but they will go a long way towards determining who has the upper hand should we see this matchup again.